What are the differences between proforma invoice and purchase order? Both proforma invoice and purchase order are commercial documents, which are used in international trade transactions. In my previous articles, I have explained these two important documents in detail. If you want to learn more about them, please just click the links below. What is a proforma invoice? How does it work? : In international trade, a proforma invoice can be defined as a type of commercial document, which is issued by the exporter in order to submit the terms and conditions of the sale in a written format to the importer's approval at the beginning of the transaction. What is a purchase order? How does it work? : In international trade, a purchase order can be defined as a type of commercial document, which is generated by importer in order to authorize an import transaction. 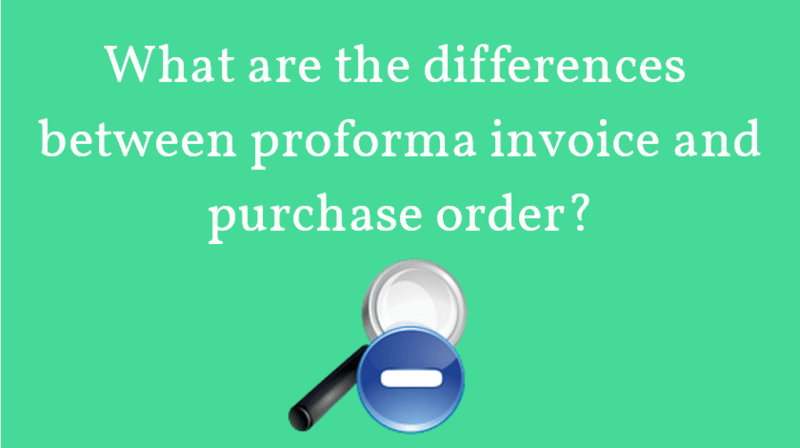 Today, I would like to outline the differences between the proforma invoice and purchase order. What is a purchase order? How does it work? In international trade, a purchase order can be defined as a type of commercial document, which is generated by importer in order to authorize an import transaction. Importer prepares and sends the purchase order to the exporter, who is expected to check the details. If exporter confirms the purchase order by sending back a signed copy to the importer, then the purchase order becomes a binding legal document for both parties. transport company details, that will pick up the goods from the exporter, in case freight will be arrange by the importer. Contents of the purchase order may change from industry to industry, customer to customer or country to country. There is no fix and single format available. Proforma invoice is one of the most frequently generated trade document in international trade. A proforma invoice is issued by an exporter at the beginning of an export transaction. It certifies the commitment of the exporter to sell specified goods for a certain price and at certain terms in a formal manner. Once the proforma invoice is received by the importer, the terms and conditions stated on the proforma invoice should be checked. By sending back a signed proforma invoice to the exporter, importer confirms the order. On one of my previous articles, I have already explained "What is a proforma invoice, how does it work and how to prepare a proforma invoice." If you need further information regarding this subject, please read my previous article, before reading further this page. Today, I would like to share export proforma invoice templates with you in excel format, completely free of charge for download. Proforma invoice templates, that you can download from this page, are prepared according to most common Incoterms: Ex works, FOB and CIF. What is a proforma invoice? How does it work? Proforma invoice can be defined as a compact form of an international sales contract. In other words, it is a lite version of the international sales contract. Proforma invoice is expected to be issued by the seller, also known as exporter in international trade, at the beginning of the transactions. Contents of the proforma invoice may change from industry to industry, customer to customer or country to country. There is no fix and single format available. FOB or CIF: Which one is better for importers? Incoterms 2010 defines 11 delivery terms, 4 of which designed to be used in only sea shipments, whereas 7 of which could be used with any mode of transport. The most frequently used two Incoterms, FOB and CIF, are restricted to be used in sea shipment only. They are so popular that, their usage most probably surpass remaining 9 Incoterms' usage. But, the main question remains: Which one is better when importing goods into one country? FOB or CIF. 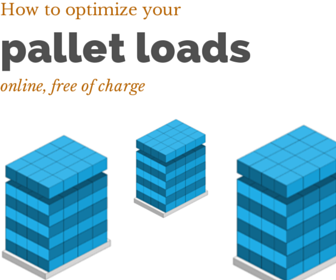 On this article, I will try to explain whether FOB or CIF is a better option for importers.